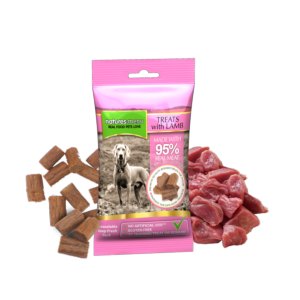 Natures Menu real meaty treats with lamb are the ultimate training treat. Made with 95% real meat. An irresistible reward treat for dogs.